There is quite honestly very little improvement that can be made to a Ducati frame and L-twin engine. 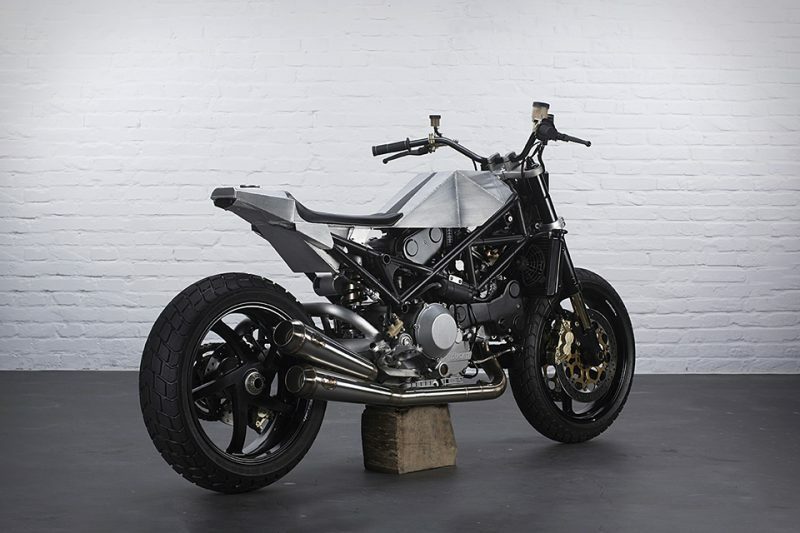 But Anvil Motociclette decided to take a shot at it… and in the process, they delivered a masterpiece in monster minimalism. 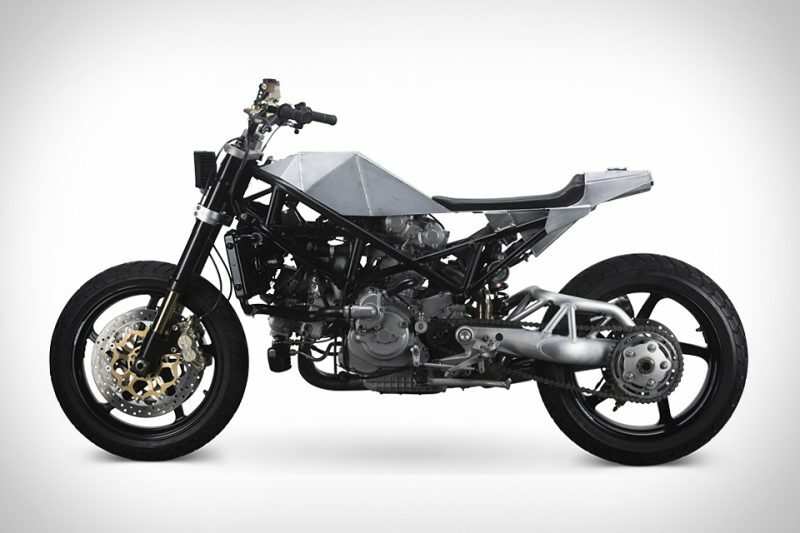 The Warthog is a custom built bike that is even more minimalist than the original Ducati Monster S4 from which it was forged to proceed. 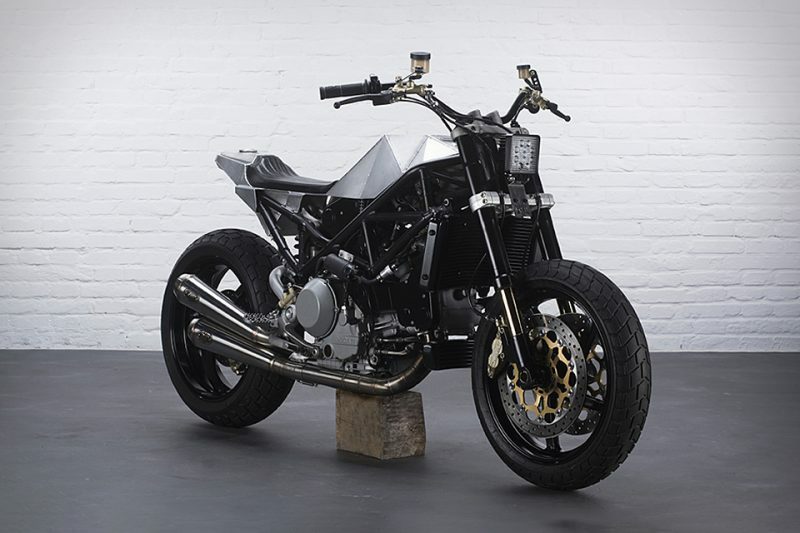 Yes, it still has a classic faring-less design, but its smooth character has been replaced by military-style raw welded panels, Brembo brakes, and modern LED illumination. 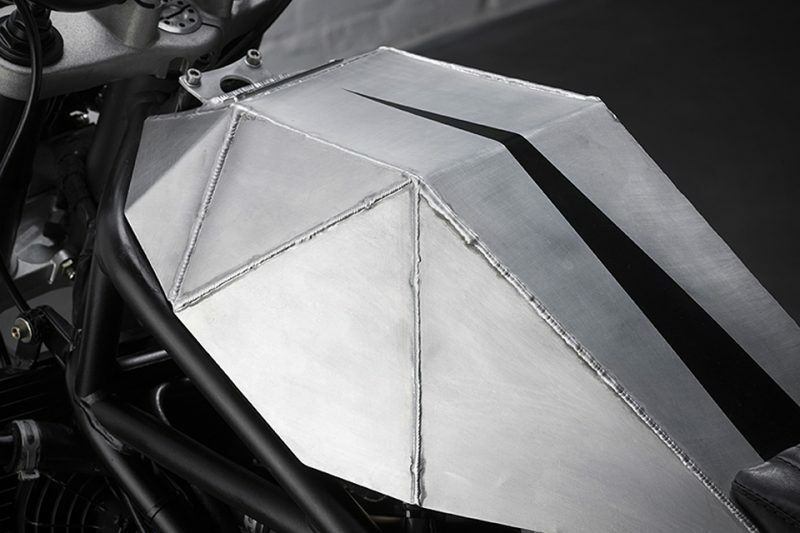 It may have fooled you, but the angular gas tank cover is really not a cover for the gas tank at all. It is more of an exotic hat for the air intake. Other differences include a reworked fuel injection system and Marchesini wheels. As good as the Warthog looks ar 0 mph, it is actually capable of speeds of up to 170 mph. I bet you want one.